High-quality mixing desk dust cover for MACKIE 1202 Vlz 3. Available in Microfibre & Polyester. High-quality mixing desk dust cover for MACKIE 1202 Vlz 4. Available in Microfibre & Polyester. High-quality mixing desk dust cover for MACKIE 1402 Vlz 3. Available in Microfibre & Polyester. High-quality mixing desk dust cover for MACKIE 1402 Vlz 4. Available in Microfibre & Polyester. High-quality mixing desk dust cover for MACKIE 16 8 2 . Available in Microfibre & Polyester. High-quality mixing desk dust cover for MACKIE 1604 Vlz 3. Available in Microfibre & Polyester. High-quality mixing desk dust cover for MACKIE 1604 Vlz 4 Normal. Available in Microfibre & Polyester. High-quality mixing desk dust cover for MACKIE 1604 Vlz With Pod Normal. Available in Microfibre & Polyester. High-quality mixing desk dust cover for MACKIE 1604 Vlz With Pod To Back. Available in Microfibre & Polyester. High-quality mixing desk dust cover for MACKIE 1604 Vlz With Rotopod. Available in Microfibre & Polyester. High-quality mixing desk dust cover for MACKIE 1642 Vlz 3. Available in Microfibre & Polyester. High-quality mixing desk dust cover for MACKIE 1642 Vlz 4. Available in Microfibre & Polyester. High-quality mixing desk dust cover for MACKIE 24 4 Vlz Pro. Available in Microfibre & Polyester. High-quality mixing desk dust cover for MACKIE 24 8 . Available in Microfibre & Polyester. 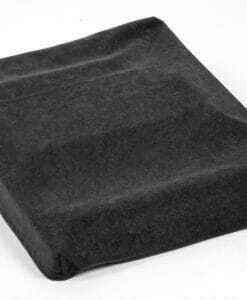 High-quality mixing desk dust cover for MACKIE 24 8 2 . Available in Microfibre & Polyester. High-quality mixing desk dust cover for MACKIE 24 8 2 + Meter Bridge. Available in Microfibre & Polyester. High-quality mixing desk dust cover for MACKIE 2404 Vlz 3. Available in Microfibre & Polyester. High-quality mixing desk dust cover for MACKIE 2404 Vlz 4. Available in Microfibre & Polyester. High-quality mixing desk dust cover for MACKIE 32 4 Vlz Pro. Available in Microfibre & Polyester. High-quality mixing desk dust cover for MACKIE 32 8 2 . Available in Microfibre & Polyester. High-quality mixing desk dust cover for MACKIE 32 8 2 + Meter Bridge. Available in Microfibre & Polyester. High-quality mixing desk dust cover for MACKIE 3204 Vlz 3. Available in Microfibre & Polyester. High-quality mixing desk dust cover for MACKIE 3204 Vlz 4. Available in Microfibre & Polyester. High-quality mixing desk dust cover for MACKIE 402 Vlz 4. Available in Microfibre & Polyester. High-quality mixing desk dust cover for MACKIE 8 Bus 32. Available in Microfibre & Polyester. High-quality mixing desk dust cover for MACKIE 802 Vlz 3. Available in Microfibre & Polyester. High-quality mixing desk dust cover for MACKIE 802 Vlz 4. Available in Microfibre & Polyester. 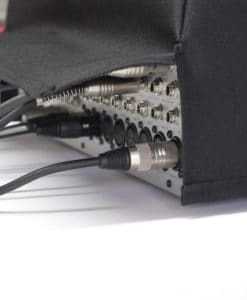 High-quality mixing desk dust cover for MACKIE Axis Dc 16. Available in Microfibre & Polyester. High-quality mixing desk dust cover for MACKIE Big Knob. Available in Microfibre & Polyester. High-quality mixing desk dust cover for MACKIE Big Knob Pasive +. Available in Microfibre & Polyester. High-quality mixing desk dust cover for MACKIE Big Knob Studio +. Available in Microfibre & Polyester. High-quality mixing desk dust cover for MACKIE D 8 B. Available in Microfibre & Polyester.